Recently I consulted with a county jail that had moved adolescent detainees to a Special Needs Unit. A small facility, they had been housing adolescents among the general adult population and made the change to align with protective standards embedded in the PREA guidelines. It was a wise move on their part and got me thinking about adolescent healthcare. Correctional nurses in juvenile detention facilities, but also in many adult jails and prisons, must understand the unique health needs of their younger patients. Do You Have Kids to Care for? If you work in a correctional setting, chances are great that you have patients under 19 years of age. Like the county jail mentioned above, many jails throughout the country house adolescents onsite. In addition, most states have adult sentencing for some form of juvenile crime. Table 16 of the US Department of Justice Prisoners in 2011 Report (Page 83) provides a breakdown of the number of youth sentenced as adults and incarcerated in various state prison systems. 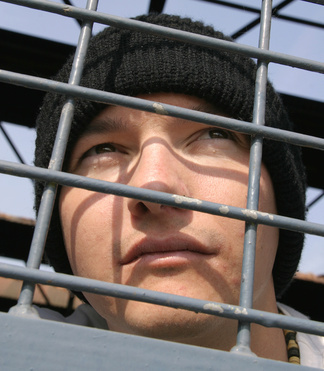 Although the Federal Bureau of Prisons does not house adolescents in adult facilities, 149 federally-sentenced youth were being housed in contracted facilities in 2011. While the criminal justice system struggles with the advisability of incarcerating youth, correctional nurses must establish a program of care that attends to their health and well-being while behind bars. Significantly less healthy than the general adolescent population with higher rates of dental conditions and traumatic injury. This information paints a picture of a patient population in need of nursing intervention. Incarceration is an opportune time to increase knowledge and motivation for healthy adult living. It is also a time to deal with unattended health issues and link youth to community health services. Do you provide healthcare to troubled youth? Share your experiences in the comments section of this post. To read more about the unique aspects of juvenile health care in the correctional setting see Chapter 11 in the Essentials of Correctional Nursing. The text can be ordered directly from the publisher and if you use Promo Code AF1402 the price is discounted by $15 and shipping is free. This entry was posted in Youth and tagged correctional nursing, Essentials of Correctional Nursing, jail nurse, Lorry Schoenly, prison nurse. Bookmark the permalink.